You can take advantage of a Free 10-Year parts and labor control plan on a broad range of York residential products. The difference in choosing Blue Air One for your comfort needs comes from our quality workmanship and honest approach in doing business. 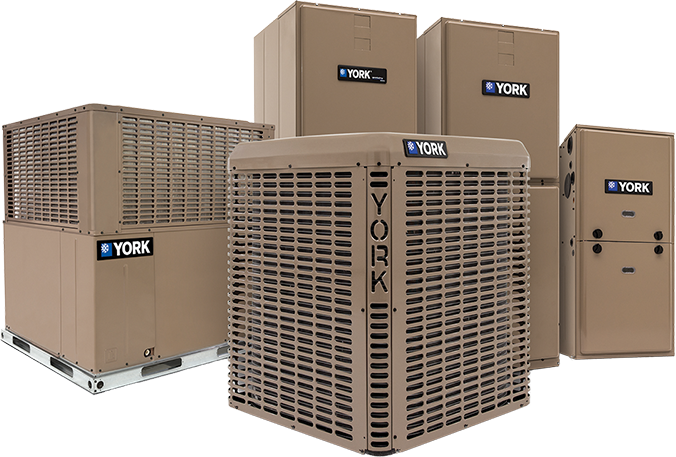 As a certified York Dealer, we proudly offer reliable York products to meet your unique heating and cooling needs. Have a question about Blue Air One, or want to use our services? Call us today! Just A friendly Reminder that your Furnace is due for maintenance. Call now to schedule your appointment for pre-season check-ups. Learn more about Heating & AirConditioning—who we are, what we do and what inspires us to give our best shot in every service. Heating & AirConditioning offers reliable HVAC replacement services, so you can feel confident in the condition of your new heating and cooling system. Serving Linden, NJ and the surrounding areas, Blue Air One Heating & Air Conditioning is your number one choice for complete home comfort. We understand the demands put on your heating and cooling systems during the blistering hot summers and freezing cold winters. We are here to provide you relief from these two extremes. From new system installation to repair and maintenance for both residential and commercial spaces, Blue Air One Heating & Air Conditioning has you covered. We can provide you with anything you need in Linden, NJ to keep your home and business comfortable. We work on all major brands of HVAC units like York, Goodman, Slant Fin, Rinnai, Bradford White, Burnham, Honeywell, DiversiTech, Friedrich, and more. Give us a call and we’ll take it from there. WHY CHOOSE BLUE AIR ONE, INC.? When you choose Blue Air One Inc., you are talking with a qualified and fully-licensed HVAC company in Central Jersey. No fake information, no hidden costs, just a plain job that is done completely and correctly. You never know when your HVAC system might fail. But don’t worry, we make our technicians available when you need emergency repair services for your residential and commercial units. Need a new HVAC system? At Blue Air One Heating & Air Conditioning, we provide reliable estimates and guaranteed price quotes for new unit installation. Our technicians are well-trained in doing installation services that comply with the city and state building codes and regulations. 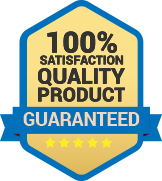 We guarantee 100% customer satisfaction rate in all the products and services we offer. You can count on us to do the job right the first time. We don’t work for ourselves, that’s why we make sure that whatever we do is known and understood by our clients. We provide an honest approach to the services we provide, and we begin by explaining every detail for our clients. Let our team of highly-trained professionals handle your residential or commercial heating and air conditioning installation, repair and maintenance service needs. We are confident that we have what it takes to keep you comfortable in your home or workplace, so go ahead, and put us to the test. Complete install of central air (2-zone) and ductwork. Professional. Courteous. Responsive. Great experience. Blue Air One team takes the time to discuss the HVAC installation with you providing options/recommendations. The crew was very pleasant during install and answered all questions. They came recommended and will recommend them. Very pleased! I was so impressed with Blue Air One's capabilities and professional quality work on my home's HVAC system that I hired them to replace HVAC systems at a rental property. Go with Blue Air One - You will be happy with their work. Blue Air One did a full AC install for me. They were fairly priced, easy to work with, and responsive. Their crew did solid work and was respectful of my home. My heat broke in Saturday morning. I called Blue Air One and left the message. The company associated called me shortly and scheduled an emergency appointment. I have received very professional and efficient service. Your help is greatly appreciated. Thank you!. Whether you need new system installation, repair, or maintenance services, we have you covered. Give us a call today! At Blue Air One Heating & Cooling we provide installation, repair and maintenance of all major brand names like: York, Goodman, Slant Fin, Rinnai, Bradford White, Burnham, Honeywell, DiversiTech, Friedrich and more. If the homeowner isn’t satisfied with the work done or performance of the system we will refund the homeowner for the purchase price of the equipment, parts and labor. Also if a product sold and installed has a failure of any component within the first year Blue Air One contractor will install a replacement product at no cost to the homeowner. We provide HVAC Services across Linden, Clark, Westfield, Scotch Plains, Fanwood, NJ.